what we feel as we age – and then express our thoughts on how to enjoy life. 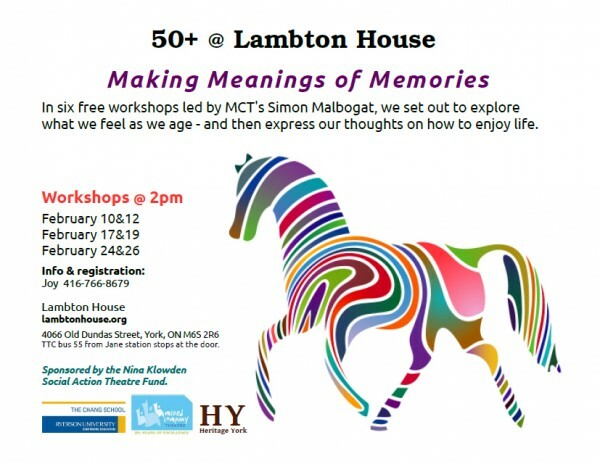 In these six workshops led by MCT’s Simon Malbogat, participants will explore intergenerational challenges, experiences and stories and present it to the public on March 1st. Spaces are limited! For info & registration contact Joy, (416) 766-8679.